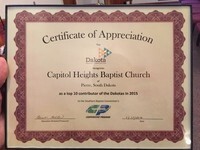 On Sunday morning, February 7th., Capitol Heights Baptist was presented an achievement certificate from the Executive Directory of the Dakota Baptist Convention, Garvon Golden. 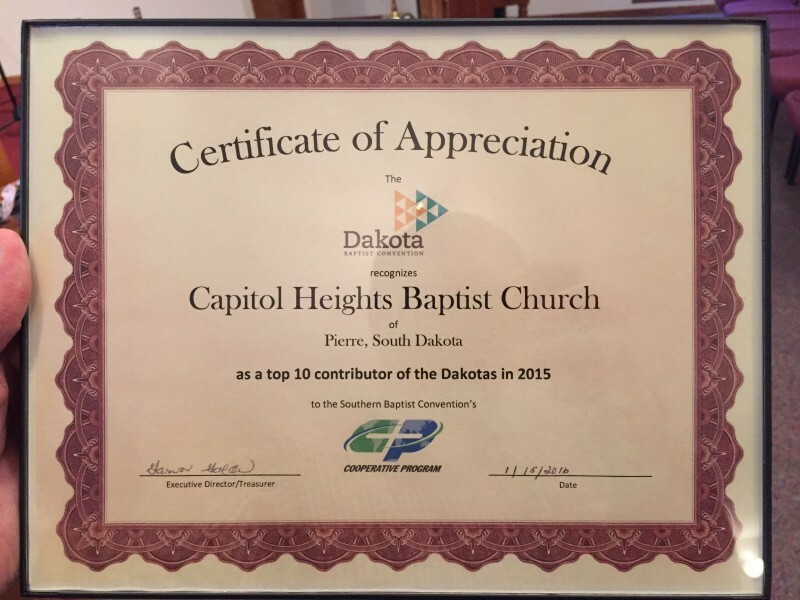 Our church is one of the top 10 churches in the Dakotas for Cooperative Program giving in 2015. Thank you CHBC'ers for you missionary heart and generous spirit.